The more I consider the challenges of the memoir writer, indeed any writer, the more drawn I am to this idea that what we write requires exploring the complexity of personality ... and capturing who our characters were – as men and as women – outside of their relationship to the narrator. Someone who walks into a room and changes the tenor of the mood – for good or bad. I remember hearing how my grandfather’s stern demeanor lent an immediate somberness among his wife and friends who were laughing and being silly until he walked into the parlor. As my mother’s cousin wrote me, “When Mr. G. walked into the room, all the laughter stopped." Something not easy to analyze . . . that's our task as writers. I have written several blog posts about my mother, who preferred the company of men to women simply because she grew up in a society and culture that placed less value on the “importance” of women as having opinions and influence. Last week I wrote about my father, attempting to capture who he was as a man – not just my father. Dad came of age at a time when the intellectual prowess of men, including the great men of the military, demanded reverence. Thus, he took a teaching position at a private military academy for boys. Men were never encouraged to explore their own feelings; my father was out of touch with his – and this made intimacy difficult, coming to a head in a midlife affair where he found in another woman, for a time, the admiration, perhaps even the nurturing, he had long sought from his mother and his wife. 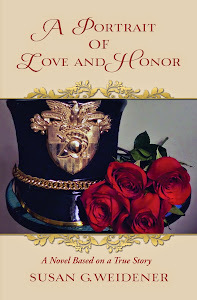 In A Portrait of Love and Honor, I explored my late husband's narrative - his inner monologue - which I had not done in my memoirs. 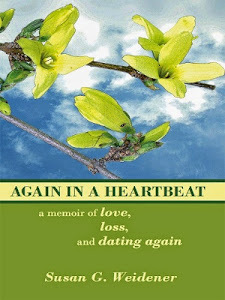 I had a great gift - his unpublished memoir which was incorporated into the novel. John clearly explains his own naivete . . . a man who grew up under the influence of "John Wayne dreams of glory" and a belief that honor was the true guidepost of a man’s life and the only thing that mattered in the end. 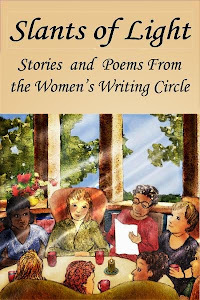 I’ve also written here in the Women's Writing Circle about my own self-discovery and the importance of reflection, as well as the concerns and “ghosts” that plagued me especially the older I got. What does all of this mean and how do we write the truth, not just of our stories, but theirs as well? I like to think I wrote about my life in my memoirs, the good, the bad and the ugly, to borrow a cliché. 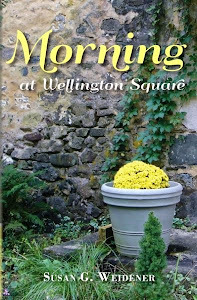 I can’t really puzzle out at this time why I wrote a particular scene in my memoirs other than the memories of them remained vivid and I could be true and accurate when it came to dialogue, setting and the importance of the memory in the overall relevance of my story. The great challenge is capturing, not just our own, but the "truth" of the people in our stories. I will be teaching a memoir class in the fall about the relationships that influence us and our stories and how to capture them through the written word. How do you go about trying to capture a portrait of the people in your memoirs?